You can stop right here if you are trying to find a private detective in Pembroke Pines, a private investigator in Plantation, or a private detective in Weston, Florida. We utilize high-tech, state-of-the-art equipment, software, and investigative techniques to get to the bottom of any situation that is presented to us by a client. Our track record of success speaks volumes, and we invite you to visit our testimonials page to see what our clients have to say about our agency. The actual history of a job applicant can be very different than the narrative that was presented during the interview. If you are in a position to hire employees in Plantation, Pembroke Pines, or Weston, Florida, a private investigator that has the ability to conduct background checks can be a valuable asset. We have cutting-edge programs that we use to see if there is any criminal history, and we also conduct financial background checks. In addition to the pre-employment background checks, we can conduct searches for other reasons. For example, let’s say that you start dating a somewhat mysterious newcomer to the area. If you want to gain an understanding of exactly who you are dealing with, you can engage us to conduct a comprehensive background check. We conduct thorough accident investigations in Plantation, Weston, and Pembroke Pines, Florida. A private investigator from our agency can obtain detailed information that may not have been contained within the police report. You can rely on us to bolster your case if you are an individual who was injured in an accident, and we also work with personal injury law firms. You owe it yourself to find out the truth if you suspect that your spouse or committed partner is having a clandestine relationship with someone else. 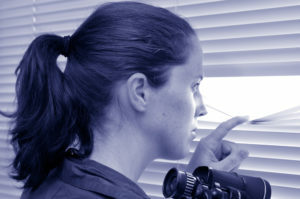 Our Plantation-Weston-Pembroke Pines private investigators can go to work on your behalf to find out exactly what is going on. When the investigation is over, you can move on with your life one way or another. We are here to help if you need a private investigator in Pembroke Pines, a private detective in Plantation, or a private investigator in Weston, Florida. You can get in touch with us by phone at 754-229-3840, and there is also a contact form on this website that you can use to send us a message electronically.